Travelodge 10% Off Discount Code - Flash Sale! 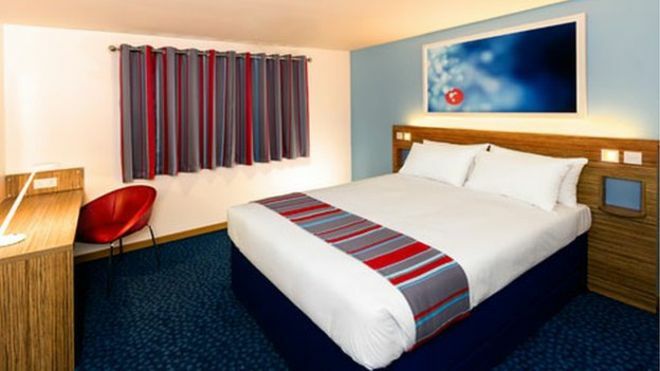 Travelodge 10% Off Discount Code – Flash Sale! February 17, 2017 , 3:25 pm in Hotels . This post may contain affiliate links. Until midnight tonight (17th Feb, 2017) if you use the discount code KINDNESS17 online when booking a Travelodge room, you’ll save 10% off the going rate! It’s valid on stays of up to two nights at most of its UK hotels between Thu 2 Mar and Fri 28 Apr (some dates are excluded depending on the hotel). It’s also valid on both ‘saver’ rooms (non-refundable, non-amendable) and the more expensive ‘flexible’ rate (cancel or amend up to midday on date of arrival without charge), but only when booking online and paying upfront. The discount will be applied to bookings of one night or two consecutive nights in the same room at the same hotel only. It’s limited to one code per person and per booking. There’s a £2 transaction fee if you pay by credit card, and you can’t get the 10% off discount if you pay by American Express. The code can be used with a Travelodge e-voucher but not with other promotions or discounts. It doesn’t cover extras such as breakfast. Before making any booking, you should always make sure you compare prices – we also rate Booking.com as a one of our fave hotel booking sites. As well as hotels they have loads of other accommodation types including glamping, apartments and villas. Their prices are fantastic and they have a price match guarantee. Bowling For Up To 4 People, 2 Games, 27 Locations, Just £11.99!